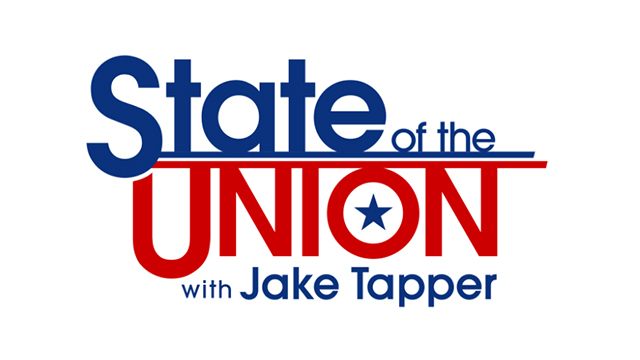 Today on CNN’s State of the Union, Senator Ron Johnson (R-WI), joined anchor, Jake Tapper to discuss ISIS, Brussels and more. Johnson on the threat of another ISIS attack in Europe: “Well, we’re being told there are no specific, credible threats. And I have to believe the officials. And it would make sense that there are probably more plots being hatched in Europe as we speak. Europe obviously is in greater danger. They’re in closer proximity to the Middle East. We’re seeing this surge of refugees. We now know that a couple of those terrorists came into Europe with that refugee flow. So what we’re unraveling or what the officials in Europe are unraveling are these cells and these plots. And, unfortunately, this is exactly what Islamic terrorists are trying to sow, what you’re seeing in Brussels today, the type of civil unrest. They’re trying to destabilize different countries. And they’re doing a pretty good job of it. JAKE TAPPER, CNN HOST: We’re also learning this morning more about the Americans killed in the terrorist attack. Justin Shults was 30. His wife, Stephanie Shults, was 29. The couple moved to Brussels from Tennessee after a job transfer. They were at the airport dropping off Stephanie’s mother, who was visiting them. She was not injured. Let’s turn now to Senator Ron Johnson, Republican of Wisconsin, chairman of the Senate Homeland Security Committee. Senator, thanks for joining us. Happy Easter. SEN. RON JOHNSON (R), WISCONSIN: Happy Easter to you, Jake. TAPPER: So, you have said that there are no credible threats to the U.S. But U.S. counterterrorism officials are telling CNN that they believe there are additional plots under way in Europe. Do you expect more attacks or attempted attacks in Europe in the coming days? JOHNSON: Well, we’re being told there are no specific, credible threats. And I have to believe the officials. And it would make sense that there are probably more plots being hatched in Europe as we speak. Europe obviously is in greater danger. They’re in closer proximity to the Middle East. We’re seeing this surge of refugees. We now know that a couple of those terrorists came into Europe with that refugee flow. So what we’re unraveling or what the officials in Europe are unraveling are these cells and these plots. And, unfortunately, this is exactly what Islamic terrorists are trying to sow, what you’re seeing in Brussels today, the type of civil unrest. They’re trying to destabilize different countries. And they’re doing a pretty good job of it. TAPPER: Belgian police have arrested a man they call Faisal C. They have charged him with terrorist murder. Is it your understanding Faisal C is the man in white who got away after the airport bombing? JOHNSON: I have no more information than you have on that one. TAPPER: It’s beginning to look as though Belgian authorities did have some knowledge of the brothers who carried out the bombing at the airport beforehand. And yet authorities failed to stop the attack. Do you think that this is an example of an intelligence failure by officials in Belgium? JOHNSON: Well, we all have the problem of, what do you do with the not guilty yet in free and democratic societies, where you have the presumption of innocence? It’s a very difficult problem. And, of course, the number of people that have flowed from Europe into Syria, literally in the thousands, are now flowing back, is obviously overwhelming the intelligence capabilities of Europe. It’s a concern here in America, which is why I always go back to, we have to address the root cause of the problem. It’s the instability in Syria and Iraq. It’s the fact that ISIS exists, that that caliphate is still standing. Remember, it was 18 months ago in September 2014 that President Obama declared our goal, which I agree with, degrade and ultimately defeat ISIS. We haven’t defeated them. I listened to Senator Sanders. And, yes, we’re nibbling around the edges and we’re taking back territory in Iraq, but they’re expanding territory in Syria. And, obviously, Islamic terrorists aren’t putting down their arms. So this is a war and we have got to take it seriously. And we have got to defeat ISIS. And we have got to find terrorists wherever they exist and wipe them out. TAPPER: What suggestion — what are you suggesting we need to do, the U.S. government and military need to do that they’re not doing? JOHNSON: We need to just have a more robust effort. We need to assemble that coalition of the willing. And the reason we haven’t assembled them is because we have not shown the leadership. President Obama took off the table that — the same day that he declared the goal, he basically took off the table the very ingredient that was going to be necessary. And that’s American troops on the ground. Now, I don’t think we have to have that many of them. We haven’t heard out of this administration a real strategy for defeating ISIS. But we actually have to show the leadership, so that the coalition of the willing will actually assemble around us. And let’s face it. I think Europe is probably a little bit more primed to really join that coalition. This has got to be a long-term effort. The historic blunder of President Obama was leaving Iraq. After all the sacrifice, after the stabilization of the Iraq, we bugged out. And as a result, that coalition disintegrated, and ISIS was able to rise from the ashes of what was a defeated al Qaeda in Iraq. We have to learn the lessons of histories. We have to be relentless in our pursuit of stamping out Islamic terror. TAPPER: Yes, let’s turn back to the terror investigation in France and Belgium. The only surviving terrorist from the deadly attacks in Paris this fall, Salah Abdeslam, was arrested just days before the bombings in Brussels. He wasn’t even questioned until the day after his arrest. And he denied knowing the men who murdered dozens of people at the Brussels Airport. Donald Trump, the Republican front-runner, said this week he would have talked a lot faster with the torture. Do you agree? JOHNSON: What we really need to do — and I have been down to Guantanamo Bay and I have talked to the people that do the interviews. And the way you actually gather intelligence that’s effective is over a long period of time. And what this administration has done, in their quest to close down Guantanamo Bay, we stopped capturing, detaining and questioning Islamic terrorists. Now, we’re doing some of that. We’re starting to capture some of the Islamic terrorists, some of the ISIS operatives. Fortunately, we captured one that was a former Iraqi chemical weapons expert. And that individual apparently started to sing like a canary. So, we were able to take out some of those installations. But we need a long-term facility for long-term detention. And that’s really how you gather intelligence, is capturing people, detaining them, and interviewing them over a long period of time, finding discrepancies between themselves — between their own testimony and that of their fellow operatives. TAPPER: Let’s talk about nuclear security. There’s a report in a Belgian newspaper that a security guard at a nuclear plant there was murdered this week and his access pass was stolen. Authorities discovered secret surveillance footage of a high-ranking Belgian nuclear official in the home of a man linked to the Paris attackers. Are you at all concerned that ISIS could infiltrate a nuclear plant in Europe? Or is that just too far afield, do you think? JOHNSON: No, no, I’m highly concerned about that, but not only in Europe. Look at the attack on the Metcalf power station in California. We have not solved that. That is a very disconcerting chain of events here. So, trust me, our critical infrastructure is vulnerable to cyber-attack, to potential terrorist attack. And we’re not taking this threat seriously enough. TAPPER: Senator Ron Johnson of Wisconsin, thank you so much, sir. Appreciate it. Hope you have a peaceful Easter.